Migration watch; 06.25 – 12.10hrs. A good day with at last a noteworthy arrival of migrants. Very welcome were three new additions to the year list, a Twite at Long Nab was rather unexpected, the other two were much more routine but just as welcome, 2 male Redstart were at Long Nab while a Tree Pipit was on Castle Hill. Other migrants on Castle Hill included a Siberian Chiffchaff, 5 Blackcap, 15 Chiffchaff, 3 Willow Warbler, 16 Goldcrest, 3 Wheatear and 2 Robin. Between Cromer Point and Scalby Nab were 18 Wheatear, 3 White Wagtail, 1 Yellow Wagtail, 4 Chiffchaff, 1 Willow Warbler and 3 Goldcrest. 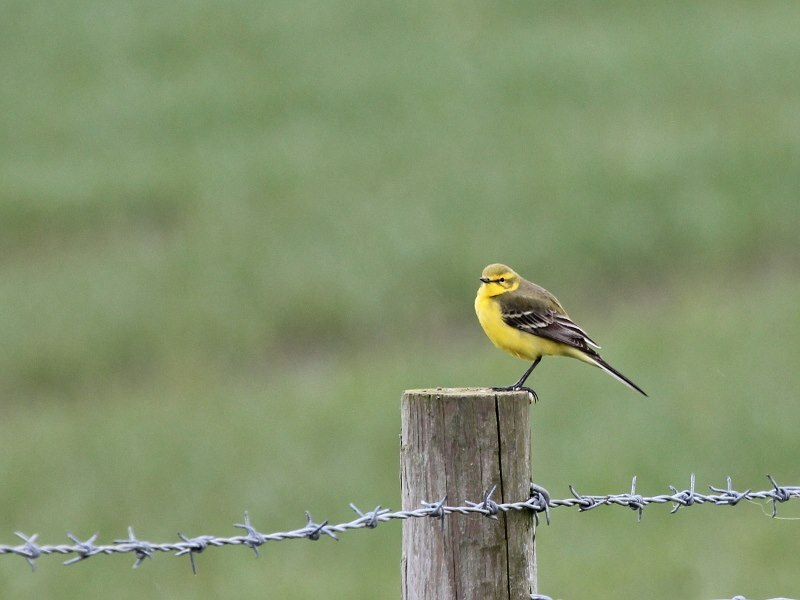 Also at Long Nab were 2 Snipe, 1 Green Sandpiper, 1 Short-eared Owl, 2 Ring Ouzel (left northwest), 3 Willow Warbler, 7 Chiffchaff, 1 Blackcap, 8 Goldcrest, 5 Wheatear, 2 Yellow Wagtail and 1 White Wagtail, at Ravenscar there were 3 Ring Ouzel, 19 Wheatear, 1 White Wagtail, 1 Goldcrest, 1 Brambling and 4 Siskin and 2 Wheatear and a Blackcap were on South Cliff. On the move (north unless stated) were 3 Shelduck south, 1 Cormorant south, 1 Buzzard, 1 Lapwing, 1 Golden Plover south, 14 Curlew, 3 Auk sp, 1 Rook south, 14 Carrion Crow + 9 south, 1 Skylark south, 6 Swallow + 1 south, 7 Sand Martin, 1 House Martin, 1 Tree Sparrow, 1 Yellow Wagtail + 4 south, 2 Alba, 121 Meadow Pipit + 2 south, 1 Chaffinch + 1 south, 1 Greenfinch, 148 Linnet + 22 south, 1 Redpoll sp, 32 Goldfinch + 11 south, 1 Siskin and 1 Reed Bunting. Elsewhere a Raven was seen over Stoupe Brow, 2 Green Sandpiper were on Johnson’s Marsh, 5 Wheatear, a Ring Ouzel and a drake Pochard were at Seamer Tip, at Potter Brompton Carr (no general access) there was a Little Gull, 36 Teal, 15 Wigeon and 80+ Fieldfare, a cream crown Marsh Harrier flew east at Cayton at 16.05hrs, 2 Little Ringed Plover, 3 Lesser Redpoll, 2 Blackcap, 70 Sand Martin and 8 Swallow were at Wykeham South Lake and 3 Common Scoter were in Cornelian Bay. 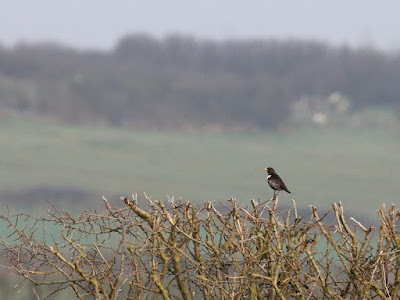 Some late news concerns the first Cuckoo of the year heard singing yesterday along Ruffa Lane near Pickering.